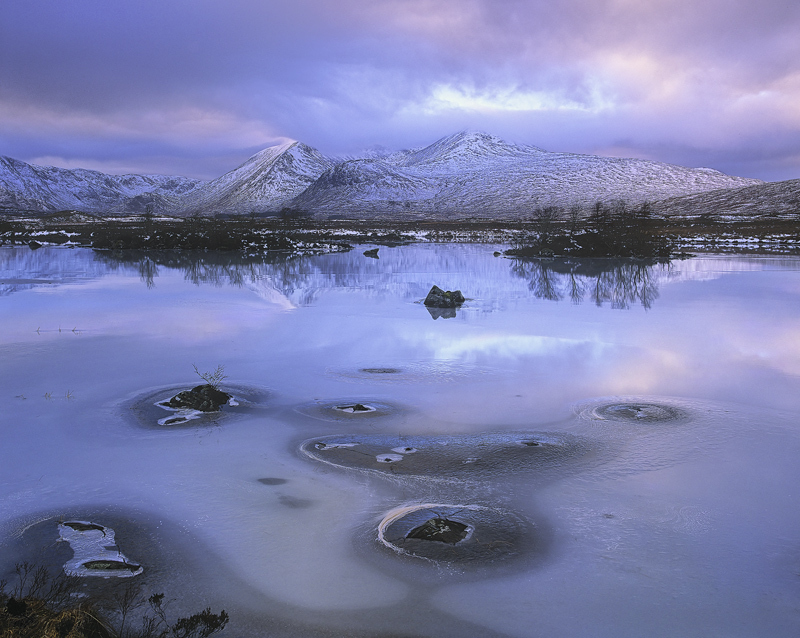 This is getting on for one of my personal favourite images of Rannoch moor and bearing how many times I have had the opportunity to visit that is saying something. I had not been to this specific location before but everything fell into place beautifully and the light for a very short while just after sunset turned as sumptuous a blend of warm and cool colours as I could wish for. I hope you enjoy it as much as I do.